According to the Oklahoma Highway Patrol a fatality collision occurred April6, 2019 at approximately 3:45am on State Highway 112, approximately one mile east of Cameron in LeFlore County. According to the report, a 2014 Jeep, driven by Sammie Hankins 44, from Ft Smith AR was northbound on Old 112 and a 2018 Freightliner hauling a gasoline tanker trailer, driven by Gregory Herndon, 46, from Cameron was westbound on SH112. Hankins failed to yield at a stop sign and was struck by Herndon. Herndon then ran off the roadway to the right and overturned. He was pinned in the vehicle for approximately 30 minutes and was extricated by the Hogeye Fire department. Hankins was transported by LeFlore County EMS to Mercy Hospital and was listed in stable condition with head and trunk internal injuries. 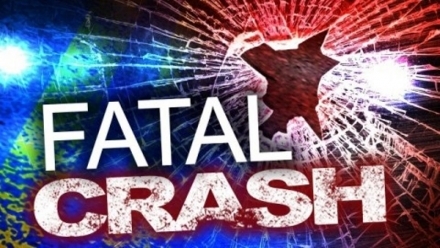 His passenger Rayvell Hankins, 41, from Ft Smith was transported by LeFlore County EMS to Mercy Hospital and was listed in stable condition with head and trunk internal injuries. Herndon was pronounced was pronounced dead at the scene by LeFlore County EMS.